Now going on a regional trip has become sleeker and more convenient. 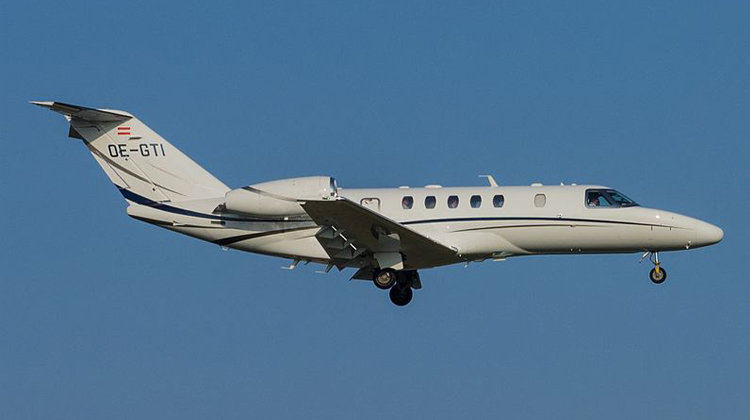 The Cessna C525 Citation CJ4 is just what you’ll need if you require privacy and efficiency on your next flight. This private aircraft can seat up to 7 people and it also has a competitive speed which can reach regional areas within less than 3 hours. If you’ll be flying from Toronto, Canada, you can reach as far as Thule Air Base, Greenland or Nunavut on this plane. It even has the facilities to ensure you’ll be having a comfy experience throughout your flight. As you step inside the Cessna C525 Citation CJ4’s cabin, you’ll find its cockpit on the left and galley on the right. The galley has the complete small appliances and materials to freshly prepare your food and drinks. Some of these include a microwave oven, fridge or chiller and a coffee maker with espresso machine. To make the most of your upcoming trip, inquire about the list of facilities which will be included with your prospective Cessna C525 Citation CJ4. Know more about the specifications of this aircraft and book for your very own, private flight today. The Cessna C525 Citation CJ4 is one aircraft with lots of comfy features to make sure you’ll have an extra comfy flight. For instance, its seats are made of durable and soft leather, plus it can also be reclined. Each seat has a corresponding pull out table, which you can use for relishing your freshly prepared meals and drinks. The same table can also be used as a platform for your laptop. By having WiFi access, you can read through your emails, update your cloud based documents and coordinate with the members of your company’s departments. With the plane’s internet connection, you can also stay in touch with your friends, family and professional networks. This aircraft also has quite a competitive speed, thus it’s a practical choice if you’d like your midrange flights to be efficient. Within its 3,700-kilometer range, this plane can fly you within less than 3 hours. This means you can reach the farthest possible region within your country, or you may also fly to the nearest international destination on this aircraft. Manufactured by Textron’s Cessna Aircraft Company, the Cessna C525 Citation CJ4 was introduced in 2004. It also had its first flight in 2008. 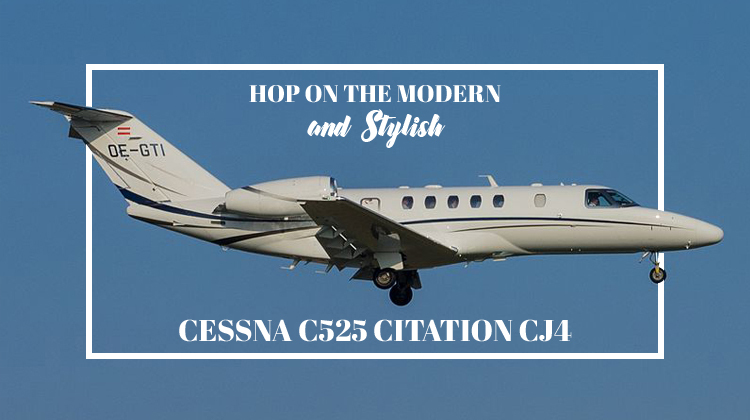 With the CJ3 as its plane of inspiration, the Cessna C525 Citation CJ4 was made with a much longer cabin at 21 inches longer. When it comes to design, interiors and performance, this aircraft is usually in direct competition with the Embraer Phenom 100 and 300, SyberJet SJ30i, HondaJet and Pilatus PC-24. Taking on a regional or nearby, international flight? If so, it would be a great idea to inquire about its exact specifications with your chosen operator. See our system below and get your very own live quote today.